When people say your mind is your greatest asset, they aren’t wrong. In the last year of high school in particular, your health isn’t limited to the strength of your immune system, but your mental and emotional wellness as well. Yet when stress reaches a peak, we’re often bogged down by feelings of unease and apprehension, especially given all the work we need to complete and the college decisions that are yet to come. As a student currently working on her college applications and impatiently waiting for the results, the past month has been especially emotionally stressful. And even though my friends and family may tell me otherwise, it’s hard to maintain a positive attitude toward the situation. That aside, it’s essential that you take care of yourself and don’t allow all those fears to interfere with your day-to-day activities. The following seven tips can prove effective in overcoming stress and anxiety during this crucial juncture of senior year or anytime during your college search. The first step toward protecting your mental health is understanding what it entails and realizing the situation you may be in if your stress and anxiety levels exacerbate. Adolescent stress is becoming surprisingly ubiquitous. Ensure that you take precautionary measures, because aggravated mental health conditions may give rise to extreme cases of anxiety and can lead to depression. Some common symptoms to look for range from changes in sleeping and eating patterns to irritability and other forms of withdrawal. I, for one, find this particular strategy quite useful in combatting stress. When stress begins to overwhelm you, try suppressing it by keeping yourself busy. I find that diving deep into my work and studies or channeling my stress elsewhere can help keep my mind occupied. Give yourself the down time you need when studying and revision notes begin to strain you. Use this crucial time to allow yourself to relax and rejuvenate to safeguard your mental health. Try keeping busy with a new hobby, watching a movie, or catching up on a TV show, as these can be great stress busters. You could also use this space to exercise or spend some quality time with your friends and family. Don’t emotionally invest yourself in other activities that could elevate your stress levels further. Even though you’ve probably heard this over and over, it’s important to remind yourself to remain calm to avoid potential emotional turmoil and mental breakdowns. Try taking a few deep breaths and a step back when you feel overwhelmed. Also try pausing for a minute and having a moment of reflection so that you can calm your nerves. Sleep on it or find other coping mechanisms that could give you the time and focus to plan your next steps forward. Often our stress is caused by the fact that we’re always at a loss for time. Owing to the sheer amount of work we’re often tasked with completing, it becomes difficult for us to plan ahead effectively. To avoid this situation, make comprehensive schedules and begin test prep much earlier. Ensure that you prioritize your assignments better so that you tackle the more difficult tasks first. Try breaking your commitments down efficiently so that you give yourself enough time for planning and organizing your work. Not only will you excel in the quality of your work, but you’ll also approach the task with a more positive attitude and gain a lot more contentment from it. At times, expressing your feelings with your friends, family members, teachers—anyone—can really help put your mind at ease. Surround yourself with positivity and interact with people who continue to have faith in your future successes. Even if it’s something you deem insignificant and invaluable, sharing your feelings can help you get rid of nettling concerns. Talking to your friends about your university decisions and doubts can also be comforting. They can relate to you because you’re all on the same path and share similar fears about the future. To keep further stress at bay, ensure that you still regulate your eating and sleeping patterns. Your habits during this phase of your life can greatly impact and shape your mental state. Avoid skipping meals for work, as you need your energy to study to get through all of those important exams! If I were you, I would also avoid polyphasic sleep strategies (aka constant naps), “all-nighters,” and consuming numerous tepid cups of black coffee every day. Most importantly, refrain from overworking yourself too much at the last minute, as there’s only so much you can do to change the course you’re currently on. Living by this life philosophy can really help you get through your final year of high school. We often get tense as we think about the future and worry about aspects like final exams, projects, and college admission. To avoid this stress for the upcoming months, try scheduling your plans and organizing all the tasks you would potentially need to fulfill every day. Work toward your goals steadily since you have a lot on your plate! You should be as pragmatic as possible and move along each stage of the college journey slowly but surely to avoid burning out. Mental health must be a priority when times get tough. Don’t give your senior year or college search stress the power to change your lifestyle, habits, attitude, and other important relationships. To quote that omnipresent Internet motivational line: Keep calm and carry on! 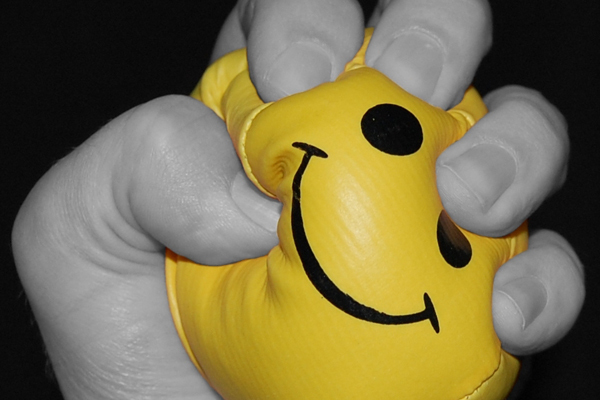 Is your college search stressing you out? Simplify your search on CollegeXpress.